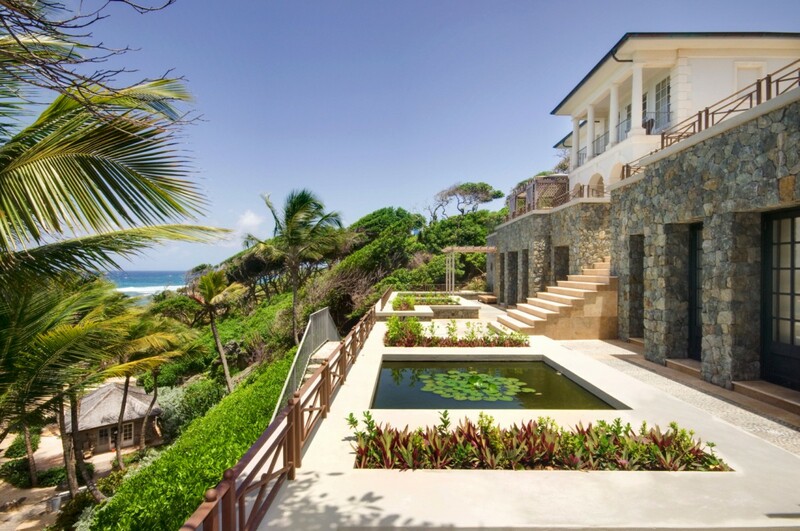 Villa Sunrise, Mustique. 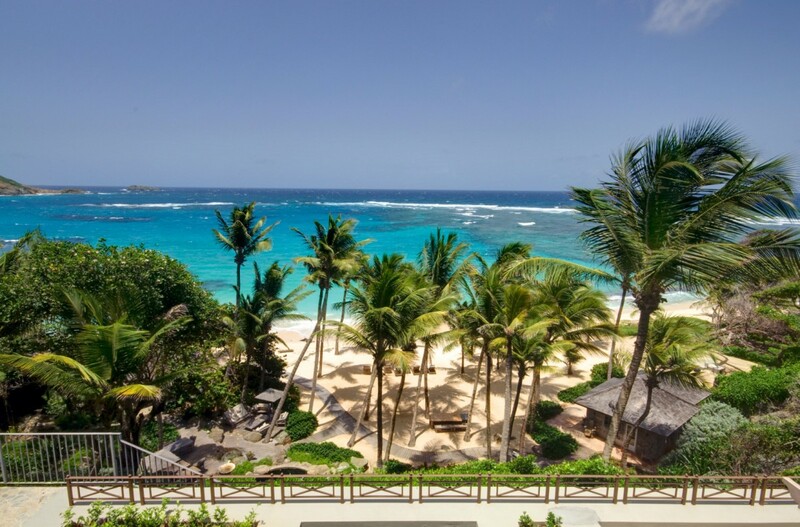 The Caribbean island of Mustique is a private getaway and has a long and fascinating history. Some of the villas are rather old and truly lovely, designed by famous architects and lovingly preserved and updated as needed. 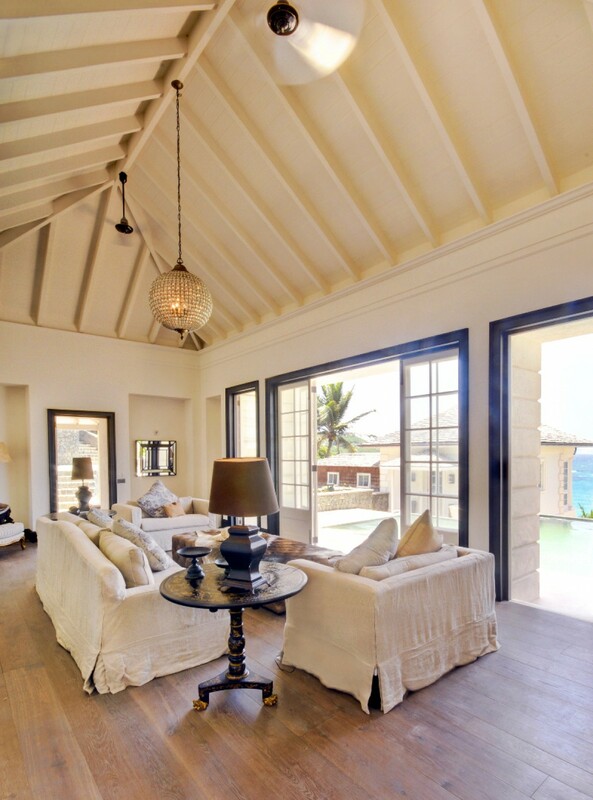 The newly built Villa Sunrise honors this heritage and offers a five-bedroom paradise to those interested in visiting this unique and stunning destination. 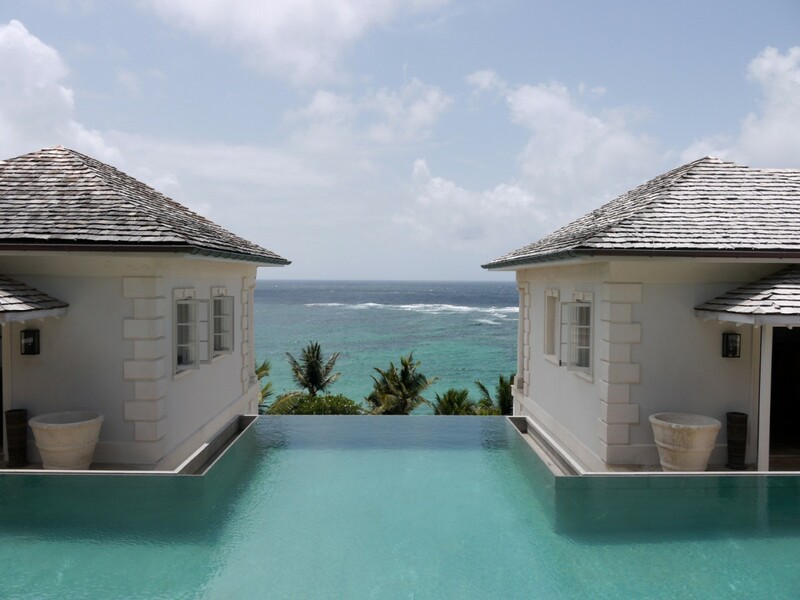 Tucked into its own, private beach, the villa enjoys non-stop sea breezes and is close to some of the finest spots on the island. Surrounded by manicured gardens and grounds, it is a place dedicated to outdoor living as much as it is to luxurious interiors. There are several buildings, including the beach cottage, tennis courts and entertainment area. Charming paths lead you easily to each space. The main building has been designed in multiple levels, using stacked stone and stucco to create a classic look. 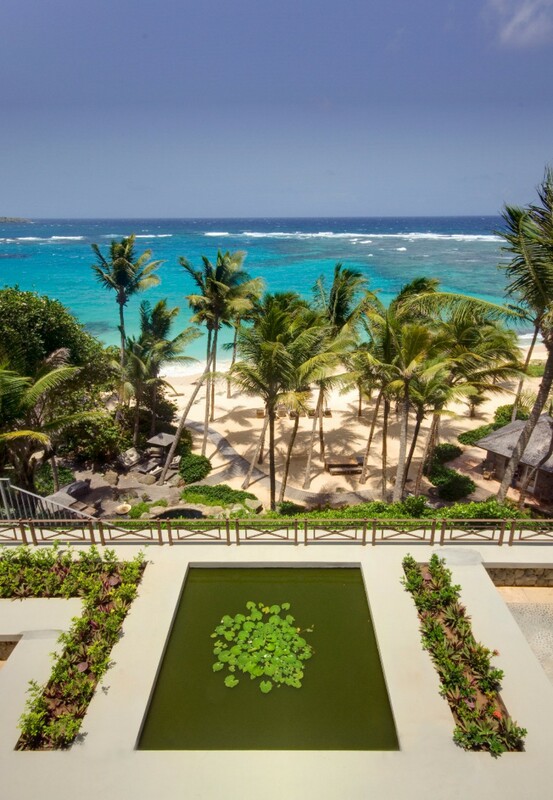 Along the front are the lovely lily ponds and on the uppermost level is the infinity edge pool terrace, with views to the sea. The shared living spaces are diverse, and include the formal living room just off the pool area, the dining room, and the enormous kitchen. 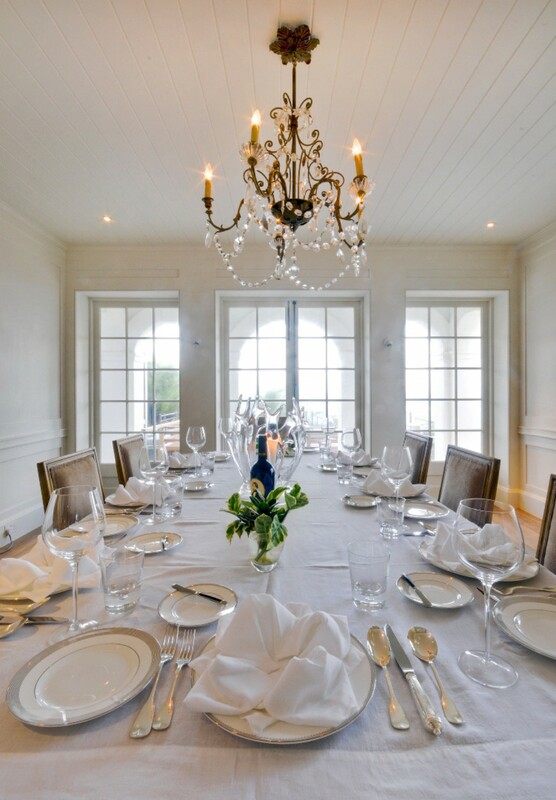 Because a stay in this villa comes with the attentive services of a butler, chef, gardener and housekeeper, you may not find a need to visit the kitchen, but you are free to use it to make snacks, drinks or meals if you choose. 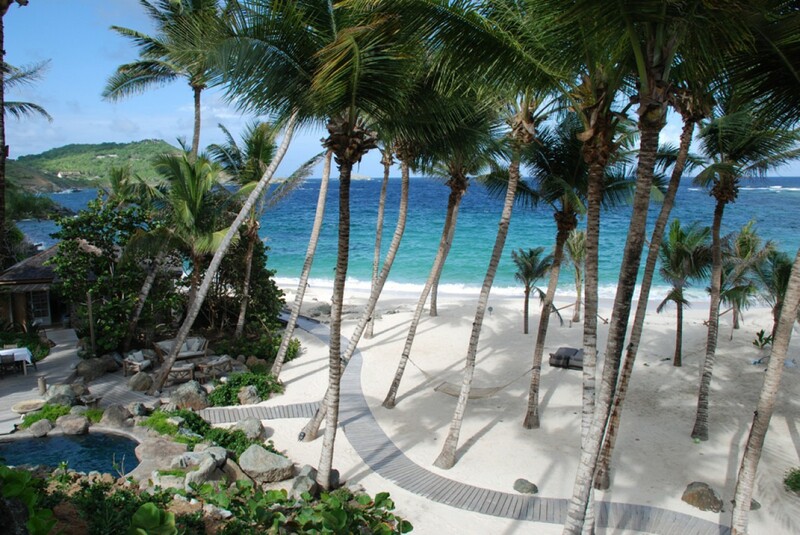 Naturally, the bedrooms are also designed to capture that amazing scenery as well as those delicious sea breezes. 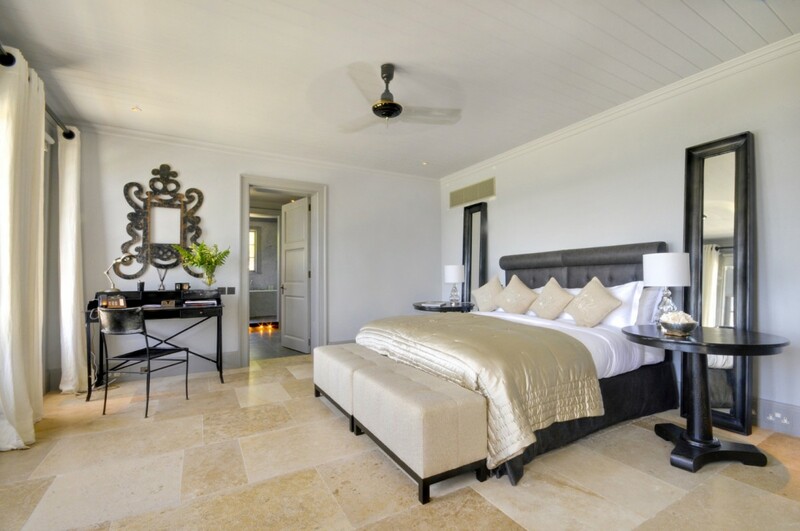 Each bedroom is an oversized delight that offers a large and opulent private bath. The main house has four of the five bedrooms. 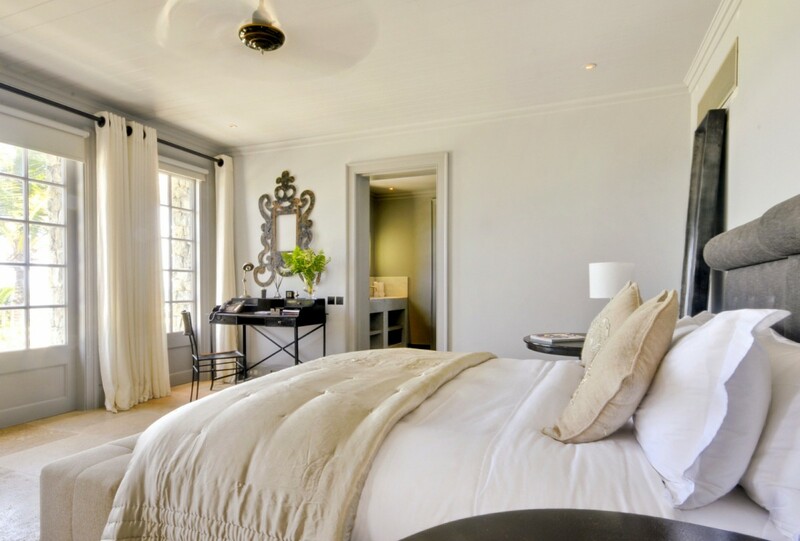 There is a master suite with dressing room, and three additional suites with king beds and sitting areas. 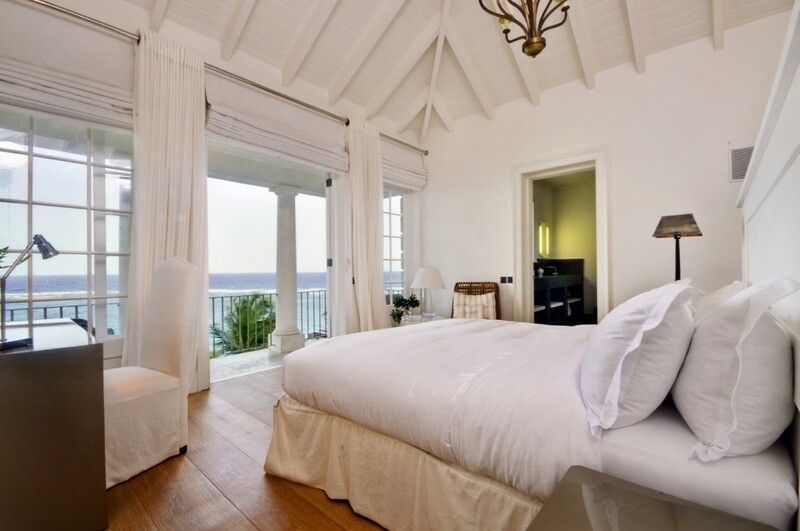 The fifth bedroom is in the charming beach cottage and has a king bed and private bath. 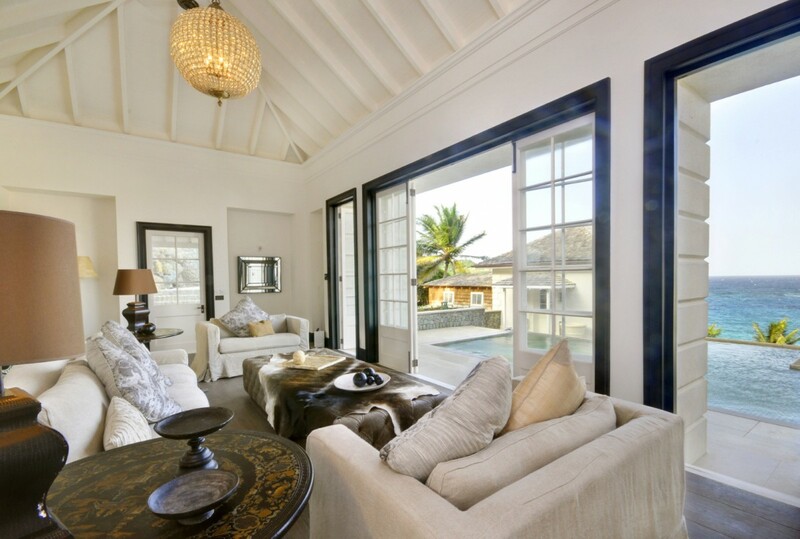 A luxurious and yet soothing setting, the beautiful Villa Sunrise is one for those in search of tropical perfection. Bedroom 1: Master bedroom with a king-size bed, A/C, ceiling fan, dressing room and en-suite bathroom with shower, double vanity and WC. 2 guests maximum. Bedroom 2: Bedroom with a king-size bed, A/C, ceiling fan, dressing room and en-suite bathroom with bathtub, shower, double vanity and WC. 2 guests maximum. Bedrooms 3 & 4: Bedrooms with a king-size bed, A/C, ceiling fan, dressing room and en-suite bathroom with bathtub, shower, double vanity, bidet and WC. 2 guests maximum. Bedrooms 5 & 6: Bedrooms with a king-size bed, A/C, ceiling fan and en-suite bathroom with shower, vanity and WC. 2 guests maximum.